More than any other type of liquor, casual drinkers seem to have a love/hate relationship with tequila in particular. While it’s certainly an acquired taste that rewards patrons with subtle, sophisticated flavors depending on the brand and type. Additionally, the popularity of tequila in the United States has led to a deluge of cheap – and bad – tequila brands that even a casual tequila fan probably wouldn’t recognize. What’s Tequila and Where Does It Come From? Tequila is made by distilling the fermentation of blue agave plants. The origin of the liquor can be traced back over 1000 years to the time of the Aztecs and their fermented milky drink, pulque. By current Mexican law, all products advertising themselves as a tequila must come from Tequila, Jalisco – a state in central Mexico. By taking the heart of an agave plant and steaming it, tequila producers shred the heart (known as the piña) until a juice called aguamiel comes off. The aguamiel is then mixed with cane sugar and yeast, then fermented for several days. Then the juice is distilled twice in copper pots and reaches 90-proof or higher. In order for any spirit to be officially recognized as tequila, it must contain at least 51 percent blue agave plant distillate. Blanco – Bottled immediately following distillation, some are aged for a short period of time. Reposado – Tequila aged between 2-12 months in oak barrels. Joven – A mixture of Blanco and Reposado tequilas. Añejo – Tequilas aged between 1-3 years in oak barrels. Extra Añejo is aged 3 years or more. Mixto – Tequila containing less than 100% blue agave, usually mixed with sugars or other spirits. There’s some debate in this area, as some tequila lovers consider Blanco to be the only pure tequila, as it has the authentic taste of blue agave. However, aging tequila tends to bring about different flavor characteristics depending on the type and age of barrel used in the process. For instance, some tequilas are aged inside bourbon barrels, which add spices and darker textures to the flavor profile while softening the bite. Among most tequila connoisseurs, Mixto and Joven tequilas are considered inferior to Blanco and Añejo varietals. Ready to impress your friends with your knowledge of this wonderful spirit? 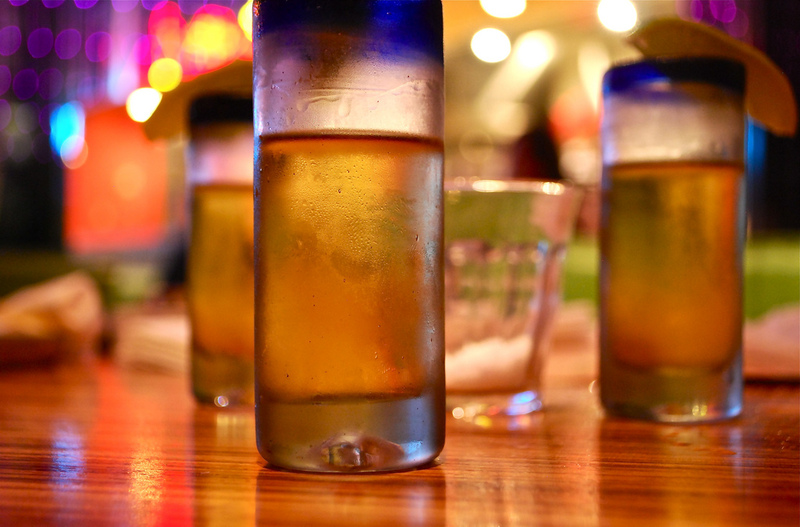 Agave Cocina & Tequilas is proud to offer a wide variety of amazing tequila varieties right here in Seattle. Check out our menu for more information or stop by and sample our selection today!